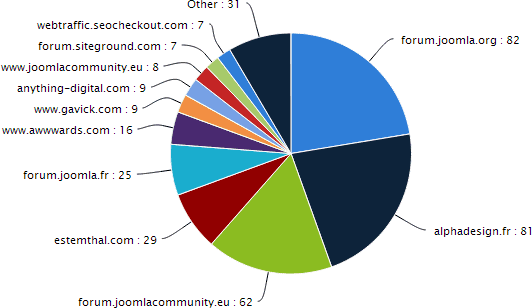 Next to Majestic SEO, Ahrefs.com is probably the main tool specialized in backlinks. In comparisons, both go side to side when it comes to discovering links. 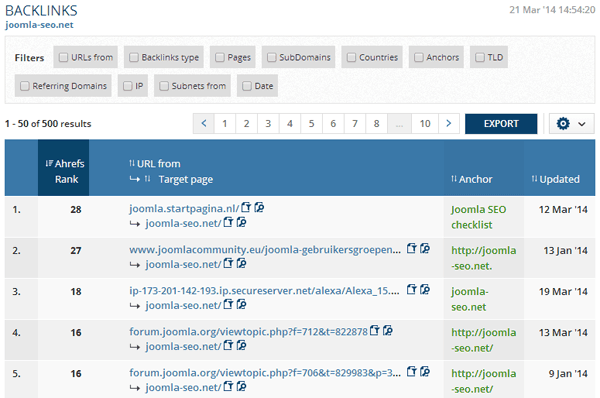 WebCEO is using Ahrefs as the backlink data supplier in their website analysis tools. Ahrefs is very good at spotting new and lost backlinks and also offers some additional options, like on-page SEO metrics of metadata, H1 tags, response codes, pagespeed, compression, etc. A free account is allowed 3 of these on-site reports per month, which should give you an idea of the possibilities. Before buying a subscription, I would advise you to try the free account. Paid subscriptions start at $79,-, which should be fine for a smaller agency.